Gather round, younglings, and hear tell of the Dark Times, when those with an interest in exotic, rare animation from Japan had to resort to desperate measures to view that which we now call "anime". Thankfully, streaming services are making this a thing of the past and you can now watch some of the best anime on Netflix (among other places) meaning it’s easier than ever to get your anime fix. No longer merely a niche interest, anime has become a global phenomenon and streaming services have taken note. 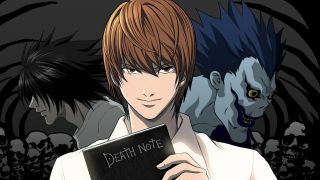 Not only will you find some of the best anime on Netflix, but the streaming giant is also investing in its own anime Originals proving it’s taking the genre seriously. Whether you’re looking to expand your anime viewing habits or take the first step into the world of anime, Netflix has some stone-cold classics as well as the latest entries fresh from Japan - both in terms of anime movies and TV shows. Now your only problem is, where to start? Well, how about with our top 25 picks? Read on for the best anime on Netflix right now and get streaming. The show: Loosely adapting Castlevania 3: Dracula's Curse, this anime show follows vampire slayer Trevor Belmont as he fights his way through a horde of demons to dispatch Count Dracula himself. Aided by sorceress Sypha Belnades and Dracula's own son Alucard, Belmont's quest is a reluctant one, his own family having been made outcast by the very people he must save. With a sympathetic take on Dracula himself, Castlevania injects some pathos and emotion into its grim – but brilliantly animated – horror tale. Why it's worth a watch: Slow your roll – no, technically Castlevania isn't anime. But with the games' long-time producer Koji Igarashi consulting on Warren Ellis' earliest scripts, creators who worked on the likes of Vampire Hunter D and Berserk involved, and with it being largely hand-animated – something most Japanese anime doesn't do any more! – it more than bears comparison. Besides, this is GamesRadar, and right now, there's no better gateway from gaming to anime than this exquisitely produced adaptation of Konami's gothic world. The show: The Royal Police protect the kingdom of Cremona – but with a cult trying to resurrect an ancient god, a serial murderer known only as 'Killer B' killing other criminals, and genetically engineered superhumans battling in the shadows, they have their work cut out for them. The disparate strands may be more closely linked than they appear though, but only eccentric detective Keith Flint seems to see the connections – and no one else seems interested in listening. Why it's worth a watch: A genre mash-up blending crime procedural with super-powered battles, this is a show packed with ideas that will keep viewers guessing right up until its gripping conclusion. The show: Elizabeth has a secret – she's really a princess. Unfortunately, the Holy Knights of Liones have secretly taken over the kingdom, and now Elizabeth is hunting for the only group powerful enough to help her take back the throne – the Seven Deadly Sins, legendary warriors framed and exiled by the Holy Knights years earlier. Their reputation may not hold up though, especially when the first member she finds is Melodias, a lecherous tavern owner who still looks like a child. But with the country at stake and no other options, Elizabeth and Melodias (and his talking pig, Hawk, of course) set out to regroup the Seven Deadly Sins and take back their home. One of Netflix's biggest investments in anime, this adaptation of Nakaba Suzuki's manga features a fun cast with unique abilities, and throws in more than a few twists to the usual fantasy formula. Why it's worth a watch: A running joke of Melodias being a perv is dated even by anime standards, but it's only a mild distraction from an otherwise fun and visually impressive fantasy-action series. With three seasons and a movie to enjoy, it also has enough space to build an intriguing universe without getting bogged down with filler episodes. The show: Baki Hanma is one of the toughest martial artists alive, but even after winning an underground fight club tournament, he's not ready for his next challenge. When five deadly inmates escape from Death Row, they descend on Tokyo to test their limits – and when they're tough enough to shoot themselves in the mouth and survive, or swallow grenades to use in a pinch, a mere pit fighter like Baki might be in trouble! Based on Keisuke Itagaki's manga and directed by 'king of violence' Toshiki Hirano, Baki delivers some truly insane characters and incredibly intense action. Why it's worth a watch: It may be unashamedly, gratuitously violent, but Baki basks in its schlocky gorefest in a way that's hard not to enjoy. Absolutely not for kids or sensitive viewers, but its old-school, Fist of the North Star-esque charm makes it brutal entertainment. The show: In 2035, the 'Burst' disaster renders an entire city uninhabitable by humans, dominated instead by an artificial and wildly propagating life-form dubbed only "Matter". Two years later, 15-year-old orphan Aiko Tachibana learns she may have actually died alongside her family, right before the Burst. The secrets behind her continued existence could be the key to stopping the spread of Matter though, and a desperate mission back into the Burst's ignition point may be only way to save humanity. Why it's worth a watch: Coming from Bones, the studio behind My Hero Academia and Fullmetal Alchemist, A.I.C.O. is a refreshing take on a sci-fi apocalypse. With unique mecha, grotesque monsters, and dark secrets to uncover, Aiko's journey is a tightly focused, high stakes survival epic. The show: At the elite Hyakkaou Private Academy, school to Japan's next generation of politicians and business leaders, gambling is a way of life. The entire hierarchy is determined by a complex series of bets, the losers and the poor – in a not terribly subtle bit of social commentary – becoming playthings to the mad whims of the rich. Yet while the student body wagers lives and fortunes to attain status, transfer student Yumeko Jabami gambles for the sheer thrill of it – and her poker face is strong enough to upheave Hyakkou's entire way of life. Why it's worth a watch: Teenage gambling shouldn't really be encouraged, but Kakegurui is ultimately a master class in tension. Throw in increasingly ludicrous stakes and the meticulous, madcap ways in which the bets go down, and this compulsive gambler is compulsive viewing. Check out the live-action drama too, for a different take on the material! The movies: A two-for-one pick here, but these movies that brought Dragon Ball's mighty warriors back after nearly two decades' absence deserve a look from long-term fans and newcomers alike. In Battle of Gods, overcoming the threat of the God of Destruction Beerus – a lazy cat, of course – requires Goku to find new powers that surpass even Super Saiyan, while Resurrection 'F' sees the terrifying return of arch-nemesis Frieza, and a battle for the ages. Neither film will test your brain cells too much, but the sheer spectacle of Dragon Ball's ultra-powered battles taken to the next level is a joy to behold. Why they're worth a watch: Forget the upscaled Blu-ray releases of Dragon Ball Z, or the re-edited series Kai – these movies are the first natively high-definition Dragon Ball stories ever, and they're glorious to behold. That their success spawned the brilliant Dragon Ball Super is icing on the cake. The show: High school is hell – or more accurately Limbo, in this supernatural fantasy. Trapped at a school in the afterlife for teens who died with regrets or traumas to overcome, Yuzuru Otonashi finds himself drawn into the Afterlife Battlefront, a militia rebelling against God for their cruel fates on Earth. Led by the determined Yuri Nakamura, the movement makes repeated strikes against the mysterious Angel, a powerful figure serving as head of the student council – but in a metaphysical realm, is anything as it seems? Why it's worth a watch: Weaving a theological thread through what would otherwise be a typical 'teens in combat' anime elevates the whole package, while learning the histories of the cast brings a melancholic vibe. Somewhat overlooked by fans on release, Angel Beats is some of the best anime on Netflix. The show: More than a thousand years into the future, humans live on colony ships after Earth was destroyed by the alien Gauna. In the depths of the Sidonia colony, Nagate Tanikaze grew up with only his grandfather for company, training endlessly on a simulator for giant robot Guardians. When the Gauna return, Nagate has to put those skills to the test in defence of Sidonia – but this last bastion of the human race is hiding something, and its secretive rulers may not want Nagate to succeed. Based on the manga by Blame! creator Tsutomu Nihei and animated with ambitious CG animation, Knights of Sidonia delivers a tightly-paced space opera. Why it's worth a watch: Packed with wild ideas about humanity's future – from adapting into a colony species, introducing human photosynthesis through genetic engineering, and moving to cloned and asexual reproduction, to more typical future visions such as spaceships and mecha – Knights of Sidonia is packed with big ideas. It also delivers on less cerebral fronts, with impressive battles against unpredictable alien enemies. One of Netflix's first exclusive anime series, this sci-fi drama still holds up. The show: After a mysterious plague wipes out anyone over the age of 13, vampires emerge from the shadows to rule the world. Taking responsibility for the remnants of humanity, the vampires' care comes at a cost – humans must donate blood for protection. Years later, orphan Yuichiro is the only survivor of an escape attempt gone wrong, the massacre of his ersatz family driving him to join the remnants of the Japanese Imperial Demon Army. Risking his own humanity to bond with a powerful cursed weapon, Yuichiro vows to exterminate all vampires – a pledge put to the test when he discovers his brother Mikaela was turned into a vampire after the escape. Why it's worth a watch: A post-apocalyptic twist on vampires, fanciful super weapons, and high-stakes combat, all held together by themes of family and loyalty, Seraph of the End is an action anime with heart.